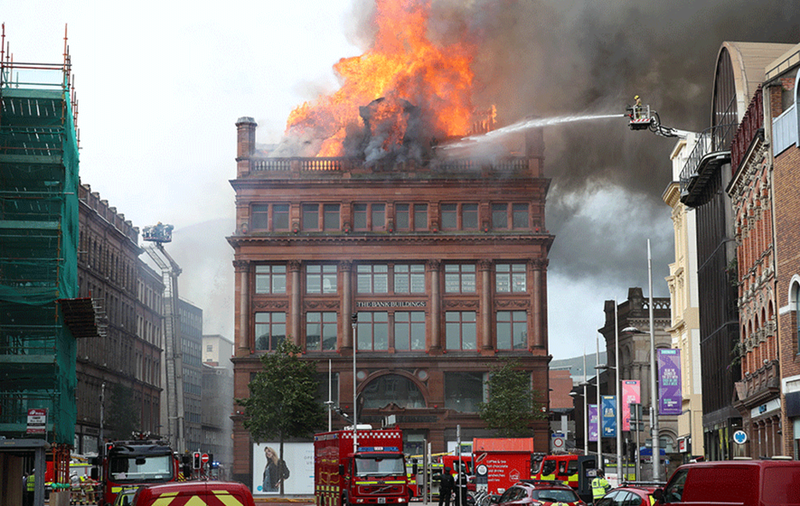 A historic building which houses Belfast's Primark store has been gutted in a fire. 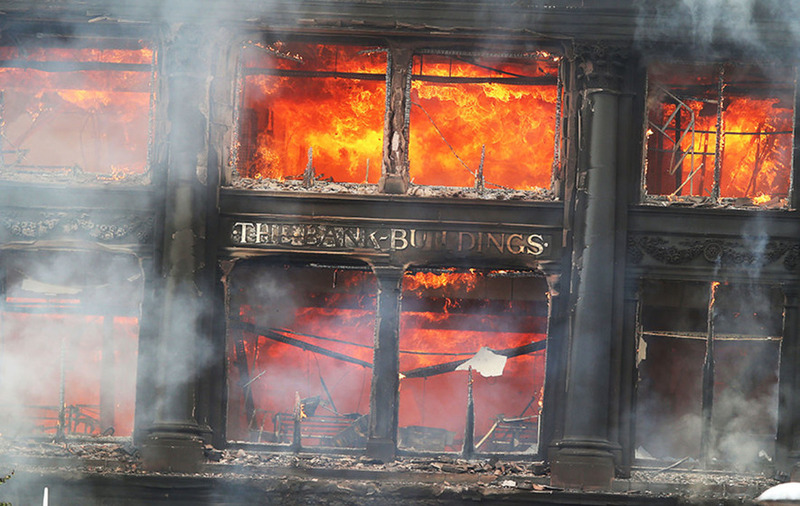 Up to 100 firefighters continue to tackle the blaze which started at the top of the five-storey Bank Buildings and tore through all floors. Loud bangs have been heard from the building this afternoon and the BBC has reported that a police officer at the scene told its reporter the building was "at risk of imminent collapse". Fire crews were called to the Royal Avenue store this morning after smoke was seen blowing from the roof. 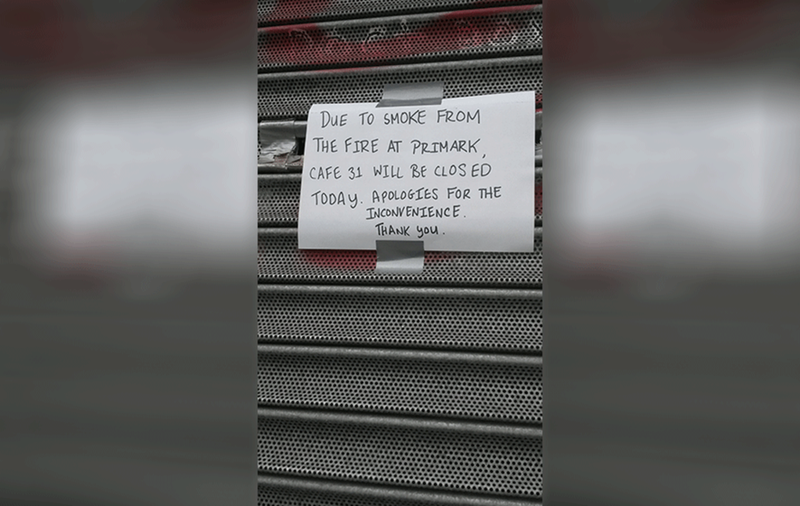 Primark said the store, which is undergoing a £30 million extension, was evacuated successfully. 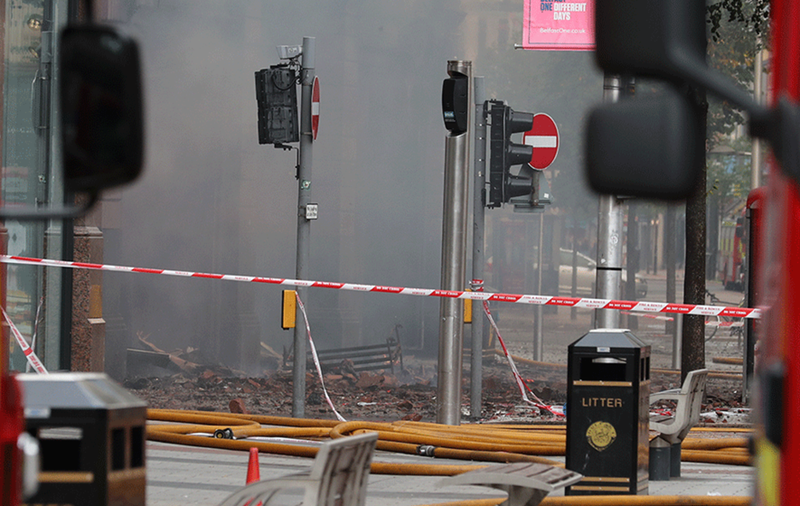 Shortly before 5pm the Northern Ireland Fire and Rescue Service said its efforts would continue into the evening. 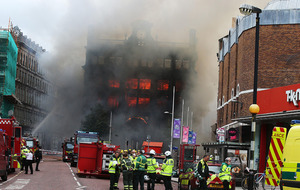 “Up to 100 Firefighters have been at the scene of a major fire at the Primark building in Castle Street, Belfast today. 14 fire appliances, a high volume pump, three aerial appliances and two command support units are in attendance. 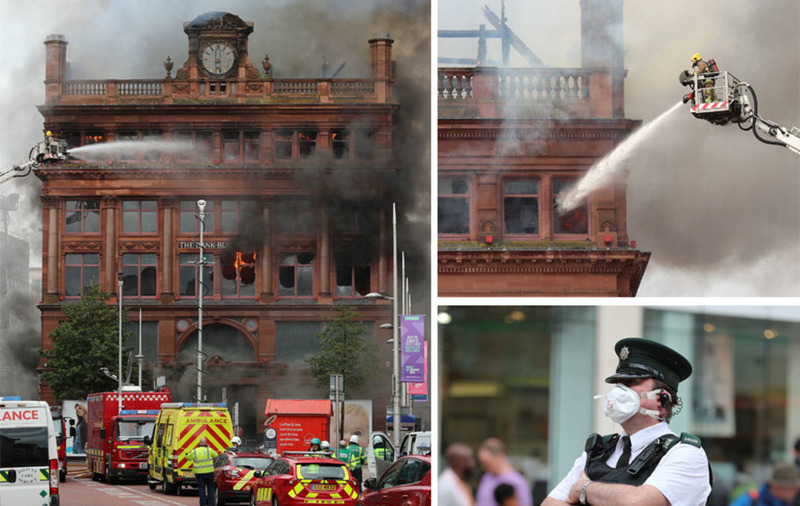 “Fire has extensively damaged the Primark building in Belfast city centre which started on the fifth floor of the five-storey building before spreading to all floors. Fire-fighting is ongoing and will continue into the evening. Residents and businesses in the area are advised to keep windows and doors closed due to heavy smoke in the vicinity." The blaze has been burning since around 11am and debris has fallen from the building which was built in 1785. A substantial cordon remains in place in the city centre with diversions currently in place at Bridge Street and High Street, Castle Street and Queens Street and Royal Avenue and North Street. 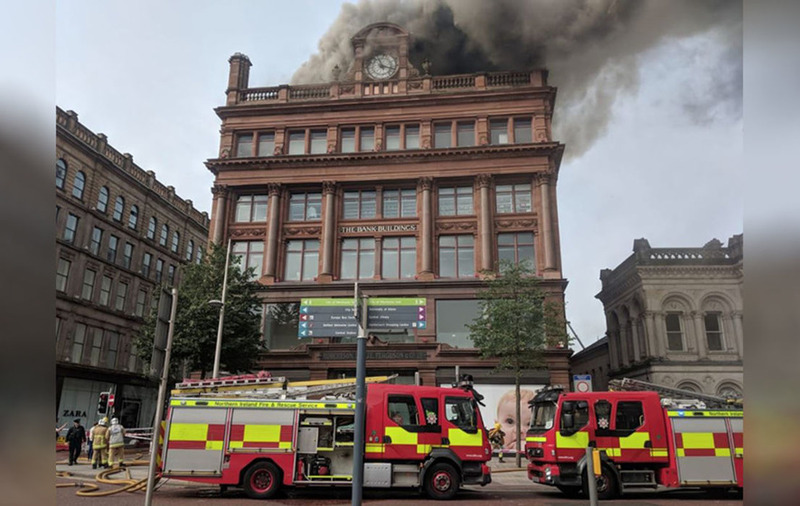 Several buildings, shops and offices near the fire have been evacuated due to heavy smoke blowing over the city centre, towards the Cathedral Quarter. 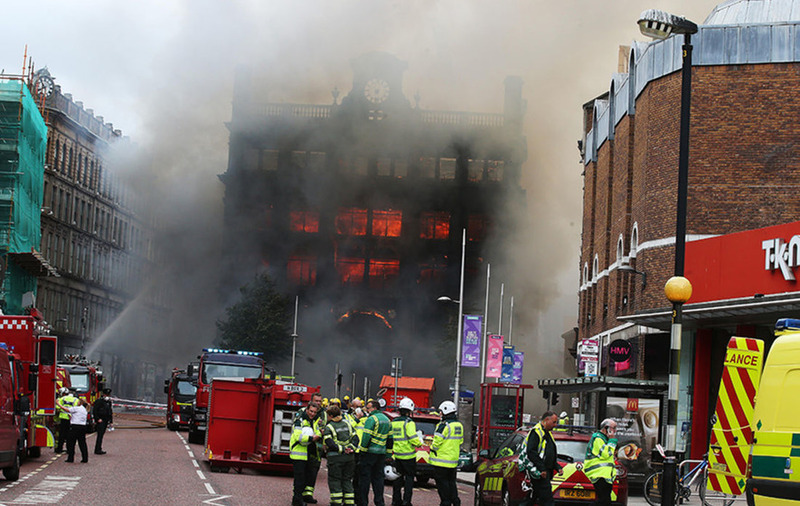 Primark chief executive Paul Marchant said he is deeply shocked and saddened by the fire that has destroyed the Belfast flagship store. He reassured staff who worked in the building that he will ensure they are "fully supported". Mr Marchant also said he will work with the authorities and building contractors to establish the cause of the blaze that destroyed the five-storey building. Managers at CastleCourt shopping centre on Royal Avenue have announced that it will be closed for the rest of today. We are closed Due to the ongoing fire on Royal Avenue, CastleCourt will be closed for the remainder of the day. If you are parked in the car park, please access your car via the car park entrance. 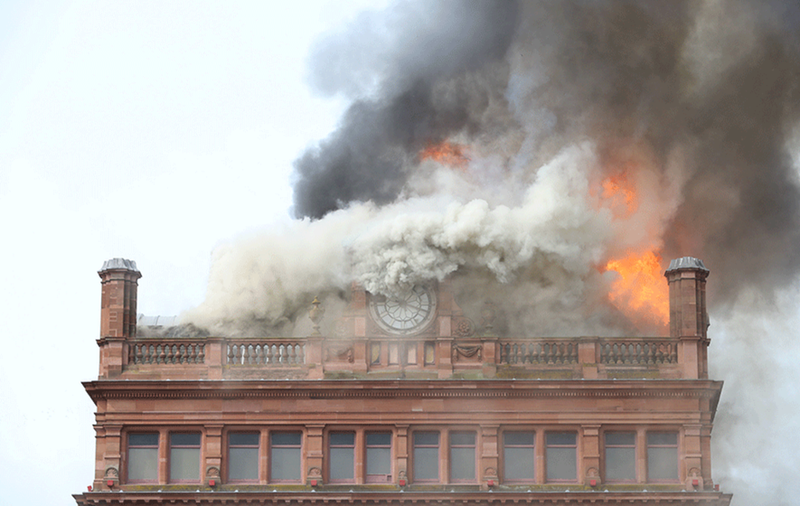 Hundreds of people have gathered at vantage points in the city centre to watch firefighters try and save the landmark building. Fouteenn fire appliances and 80 fire fighters are tackling the blaze, according to the Northern Ireland Fire and Rescue Service. Translink has warned of disruption to Metro services in the city centre. Aodhán Connolly Northern Ireland Retail Consortium Director said the organisation's thoughts were with staff and customers who were evacuated. 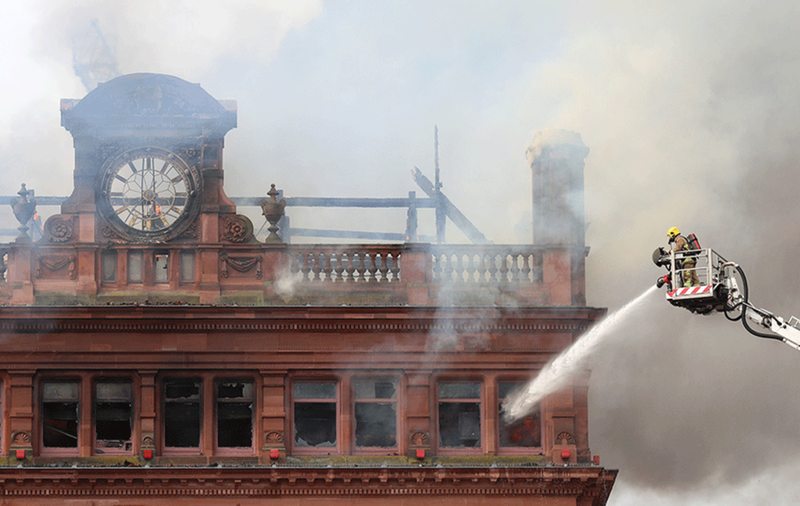 “This fire is a real blow to the city as not only an iconic building but a hugely successful footfall draw for the city centre has been devastated," Mr Connolly said. The Bank Buildings were designed by Sir Robert Taylor and erected by Waddell Cunningham in 1785. The original bank opened in 1787 under the name of 'The Bank of the Four Johns' because all four founders were named John. After the bank collapsed, the building was used as the residence of the Bishop of Down and Connor. In 1805, it was converted into a shop, and has remained an outlet for retail ever since. Primark took over the building in 1979. 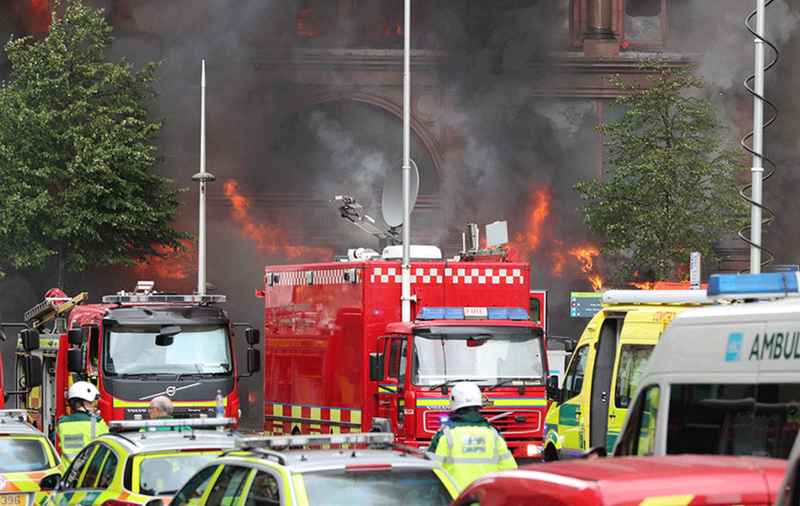 Joan McCoy, President of the Royal Society of Ulster Architects, said the blaze was a "sad day for Belfast". "Buildings like these help give Belfast its unique identity and character," she said. "The Bank Building is a very important part of the city’s architectural heritage and is loved by many.